School of Wok, located in Chandos Place, very close to Covent Garden Market, and notorious for being a trendy foodie area, is conveniently and aptly just a stone's throw from London's Chinatown. 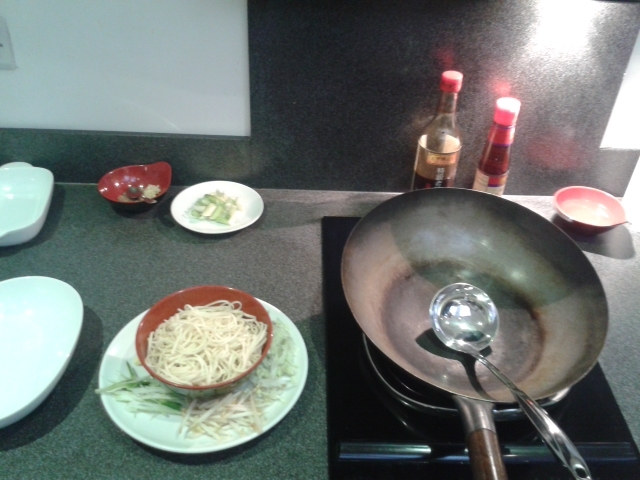 The Quick Fire Street Food class was exactly that - no chopping or prepping, everything was laid out for us, all we had to do was shape our wontons, toss a bit of chicken in corn flour, and stir-fry our noodles using our newly acquired wok tossing skills as taught by Stefan. Stefan Lind is the charming and handsome (I quote) chef assigned to teach us the joys of a smoking wok, and the art of wonton origami. 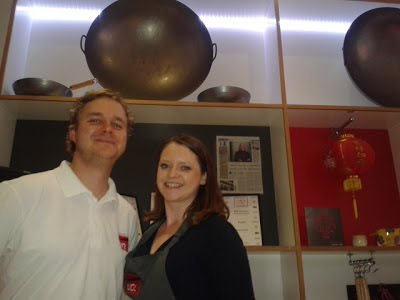 He is a Leith's graduate, and with his Jamie Oliver hair, his passion for Asian cooking and the ease with which he imparts his knowledge made the class really enjoyable and I certainly learnt a few things about soy sauce and wok tossing. I wokked up at 7pm, and was greeted by Mel, wearing her 'Wok this Way' t-shirt - a precedent for an evening of wok-related puns. We were seated in the shop area around a table laid out with everything we needed, surrounded by giant woks, and in full view of the passing public (which, incidentally, is how one or two of the other students discovered the class). Here Stefan showed us how to fold the diamond-shaped wonton pastries around the filling (Chinese chives, shittake mushrooms, garlic, coriander, spring onion, and Chinese leaf) into traditionally shaped wontons. My attempts went from 'rustic', to 'perfect', thanks to Stefan's 'don't clap, overlap' instructions. Next, the Smoked and Shredded Chicken. Marinaded in Liquid Smoke - yes, actual liquid smoke! - and light soy sauce, with sesame oil, our brief was to dunk it in some egg, and coat it in shedloads of seasoned cornflour to ensure that crispy fried texture we all know and love. 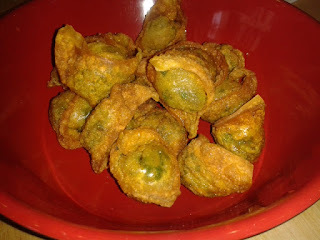 The wontons and the chicken were then taken away by Mel for deep-frying, while we were taken into the kitchen, where all our ingredients were ready for us, arranged clockwise in the order required. Very convenient! Meanwhile Stefan demonstrated how to cook the Hong Kong Noodles. They take about two minutes (pre-prep is wonderful!). In the carbon steel wok, he heated the oil until it was smoking, then using a metal wok spoon, added in the ingredients in gradients of hardness, starting with baby corn, and finishing with the pre-cooked, cooled and completely dry egg noodles. A toss, a spin, and a dash of dark soy sauce, and there it was - a sizzling masterpiece. Returning then to the Smoked and Shredded Chicken. Pre-marinated and deep fried by Mel, we simply had to wok swish some spring onions, garlic and chilli, then the chicken - it literally took 90 seconds. 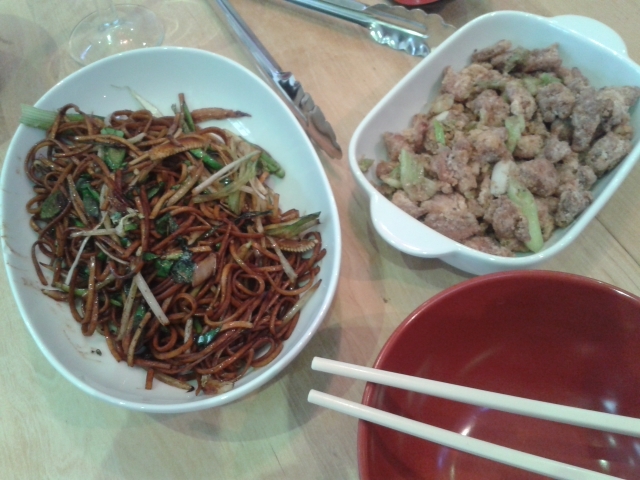 Everything was then taken to the table where we enjoyed our Quick Fire Chinese Food with a cheeky glass of wine. Stefan, me, and some giant woks. Shittake happens. If you can think of any other wok-related puns, I would be delighted to hear them! If you want a taster before signing up for a course, I'd recommend trying their free one hour demonstration. 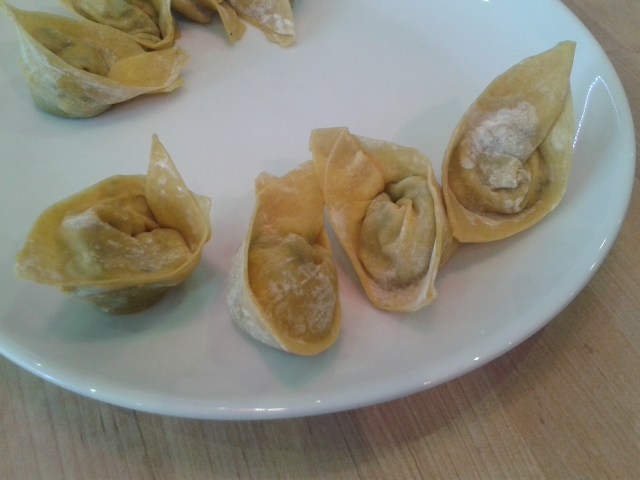 We were welcomed with a glass of prosecco and then shown how to make Summer (as opposed to Spring) Rolls). 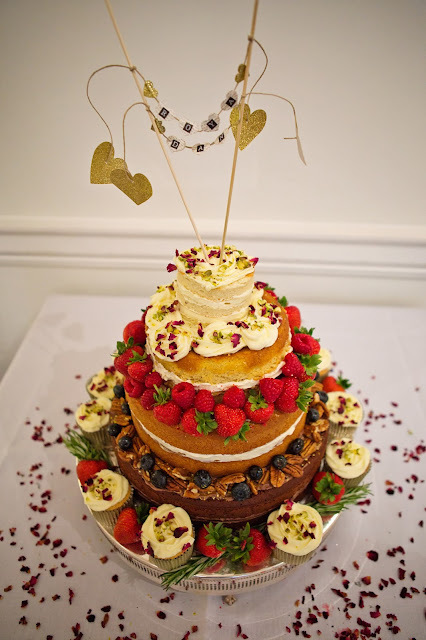 Although they looked pretty simple, trying for ourselves was not so easy at first but we soon got the hang of it. The flavours were delicious: summery with the mint and very healthy. It was good to chat to the two girls to find out more about the courses and we saw Jeremy showing a group of three how to chop ribs with a massive cleaver!